Pixelache | Cryptography for Postcards Workshop 5.12. 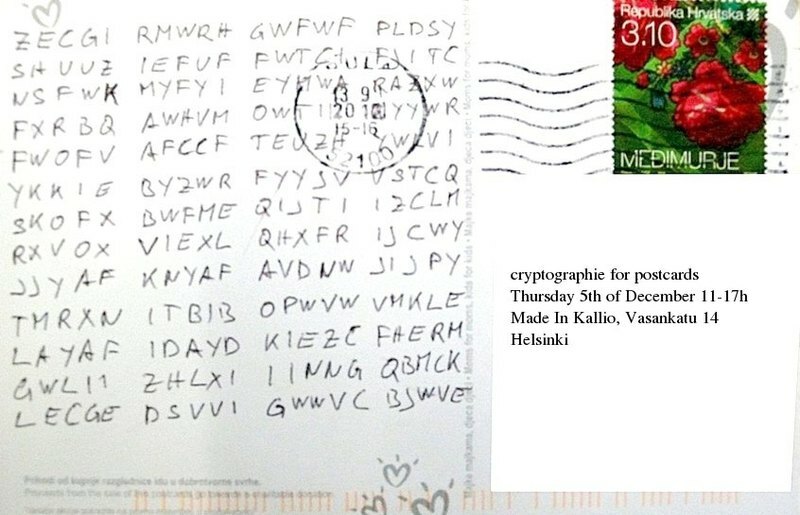 Knowledge & Experience Sharing : Cryptography for Postcards Workshop : Cryptography for Postcards Workshop 5.12. Place: Made In Kallio, Vasankatu 14 Helsinki. Cryptography as a means of secure transmission of information is a technology applied since the earliest days of human information exchange and did not loose significance. On the contrary, the current revelations concerning comprehensive surveillance and the resulting discussions about privacy are increasing. Cryptography is one aspect of digital self The workshop begins with an introduction of the terminology: text and code, key and encryption, language as an interpretation of signs and strings. It continues with basic cryptographic techniques finally explaining more sophisticated approaches like asymmetric encryption and quantum cryptography. 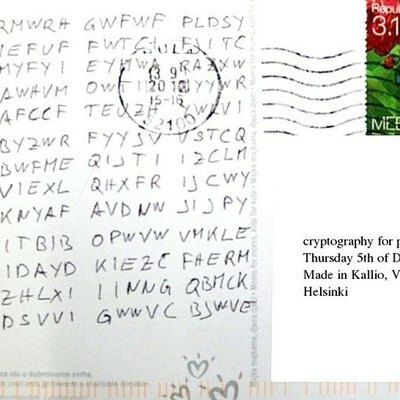 The accompanying practical part will explore simple cryptographic mechanisms that the participants use to "encrypt" and "break" postcard messages. No prior knowledge is necessary. Participation contribution 10.- EURO - Coffee/Tee included. 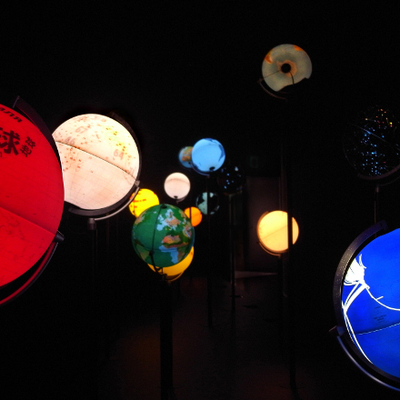 Markus Decker Is an artist who investigates natural random phenomena like radioactivity or electromagnetic noise as a means for cryptography in his recent Ars Bioarctica residency. Peter Wagenhuber Is a computer scientist with special interest in technologies and their impact on society. Currently he is a operator at the cultural network-based initiative servus.at. 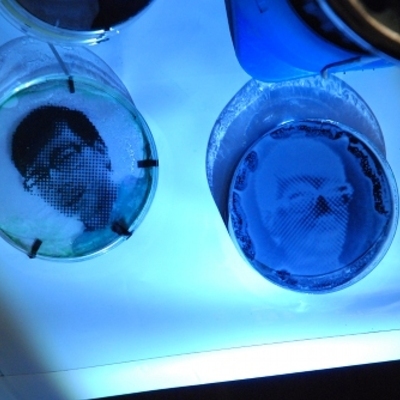 The workshop is a coproduction of the Finnish Society of Bioart and Pixelache where it is part of the ongoing Knowledge & Experience Sharing theme of Pixelversity.